4 Applications for Actuators in Wind Turbines | Indelac Controls, Inc.
Nowadays wind turbines play a larger role in the power generation combination for the USA. Every day, more and more turbines are being installed across states and the country. Although valves don’t play an important part in the wind energy generation, actuators are a much more significant element in the operation of wind turbines. Many areas in a wind turbine operation use actuation. 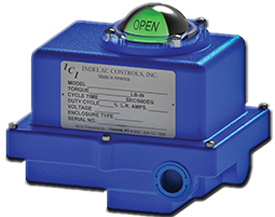 While the main use is for the blades control, actuators can also be used for ventilation, emergency systems and access hatches. Actuators are part of the control that adjusts the rotor blades on the turbine hub attached to the main shaft. When wind speeds are not enough to reach the optimum turbine rated power, the blade can be rotated by a few degrees to provide maximum output. When wind speeds are above the speed at which the turbine reaches rated power, the blades can be rotated up to 30 degrees to maintain power output at rated power. Finally, the blades can be rotated to a 90-degree position causing the rotor to stop or just idle slowly. It can also be the shutdown position when servicing is needed. The most common systems use electric motors. Backup power for power loss situations is provided by batteries. However, some major turbine manufacturers use hydraulic systems, where backup is provided by hydraulic accumulators. For this application, electric actuators usually control the ventilation dampers in the nacelle. Dampers are used to regulate the temperature inside the nerve system of the wind turbine. Opening or closing the dampers protects against dangerous drop or spike in temperature. Automated dampers can also be used to adjust ventilation in other required area of the installation like in the transformer unit. In case of failure of the primary lubricating system, an actuator opens the emergency lubricating system. Actuators, either linear or rotary depending on the situation, open the hatches and doors to give access to the different areas of the installation. Since wind turbines are generally in isolated areas, they might be difficult to access, the biggest concern when choosing a product for wind turbine operations is reliability. The main challenge is the high number of operating hours without human attendance. Turbines can operate for several thousands of hours without any inspection or scheduled maintenance intervention. For remote parts of the installation like the blades control system, it can be up to tens, even hundreds of thousands of operating hours between maintenance visits. These numbers are very unusual for industrial actuators, and just like for other remote actuator applications, rugged durability is the key to success for actuators in wind turbines. 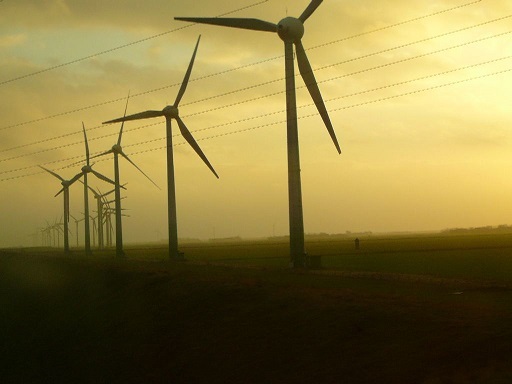 The wind energy industry is evolving very quickly and is always looking for improvements in cost and reliability of critical parts, including actuators. 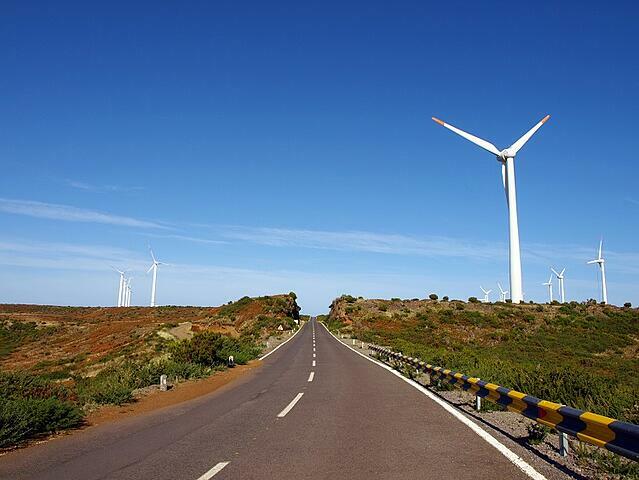 Looking further down the road (or up in the air in this case), as the demand for more efficient and quieter wind turbines rises, actuator manufacturers will have to respond actively to the demand in innovative products.